The Welsh Terrier is a compact dog of charming character and a great companion for kids. Obedient, happy and cheerful, non-aggressive but will hold its own. 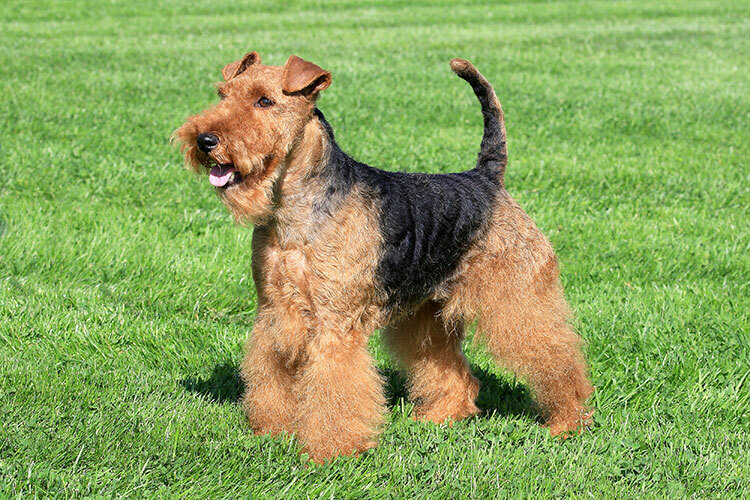 The Welsh Terrier is a descendent of the now-extinct Black and Tan Terrier, crossed with Airedales, Lakeland, and Irish Terriers, hence the similarities between these breeds. One Welsh Terrier helped East-West relations during the US presidency of John F. Kennedy (who was an animal lover and filled the White House with dogs). Pushinka was a gift to Kennedy’s daughter from the Russian president, Nikita Khrushchev. She went on to have a litter of puppies sired by the president’s Welsh Terrier, Charlie. Charlie seemed to play a big part in the life of JFK, and during crises, when difficult decisions had to be made, the president would often call for Charlie to be brought to the Oval Office, where they would sit together before making decisions that could change the world. It is interesting that many of these fascinating facts about the breeds we have been featuring are related to US presidents, while Downing Street seems to very much favour cats. A great companion and one who will accept obedience training. Is able to take the rough and tumble of children's play, but not at all aggressive. He will however, hold his own if attacked by another dog. They generally prefer to be the only dog in the household, but if raised from puppy hood with others, it shouldn't be a problem. Small to medium - the Breed Standard stipulates the height at shoulder to not exceed 39cm. Weight: 9-9.5kg. A healthy, robust dog. Very little breed-specific issues. Skin allergies are reported, but keeping the coat well brushed and feeding a good quality food will help. A relatively easy dog to live with - but you will have to learn how to look after their coat.